This entry was posted in Hanover Kitchen Remodeling Kitchen Remodeling York Kitchen Remodeling and tagged Custom Kitchens Kitchen Remodeling Kitchen Remodeling Hanover PA Kitchens Hanover PA on June 18, 2014 by Matthew Smith. 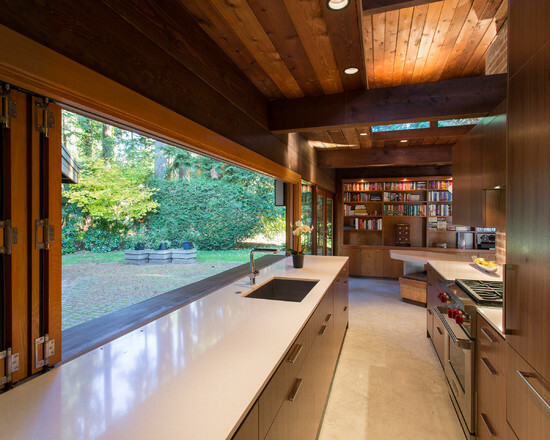 Kitchen remodeling is a big deal. There are tons of accessories and choices when you start planning, and it is really easy to get lost in the details. But one great thing about a kitchen remodeling project is that you really do get to create your own space that is tailored to you as a person and a user of said kitchen. So the first step should always be to decide what changes you would like to see, what new fun and exciting items you can add and how all of this will come together. I know that all of the real estate websites say to keep your kitchen remodeling project similar to the homes in your area to maximize return on investment, but they don’t have to live with the kitchen…You do! Why not create something truly unique that will meet a personal need of yours? I have combed the web and looked into fun projects that our company has worked on to come up with a truly awesome (in my opinion) list of totally unique ideas that you might like to consider in your kitchen remodeling project! I don’t know about others out there but my wife and I both work full time and we have two small children. Couple that with the fact that we are both foodies and love to cook and you have a dish disaster waiting to happen. My sink and dishwasher remind me of a busy car wash line! You can bet that this will be high on the list next time we do an update to our kitchen! 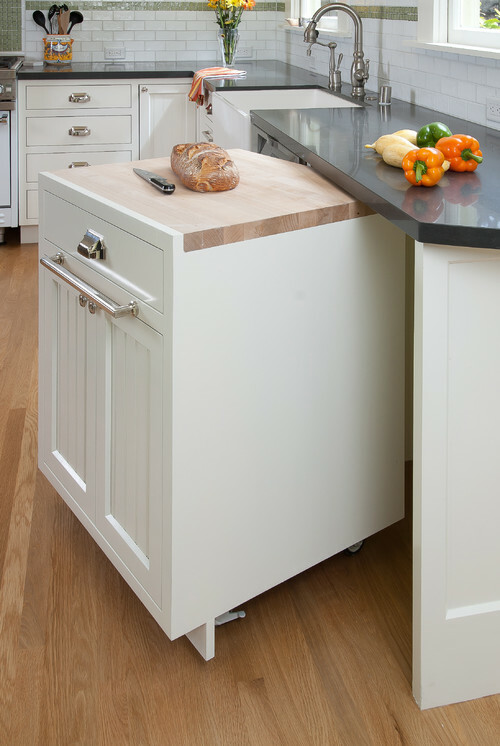 I always seem to need more counter space when I cook and this is such a simple yet effective way of creating the added space that one needs! Bravo to the individual who thought up this creative idea! I have always wanted an outdoor kitchen but can never swallow the price tag that comes with it. This seems like the perfect solution, provided that your kitchen ties into your back yard of course! Either way, you can host the perfect back yard barbecue with this creative idea! Nothing worse than fumbling through a cabinet full of spices all over the place when struggling to put a big holiday feast together. Keep it simple with this great idea! If you live in or around the Hanover, PA area and are looking into a custom kitchen remodel, give us a call. We provide free estimates on all of our work and can handle just about any creative idea you can think up! 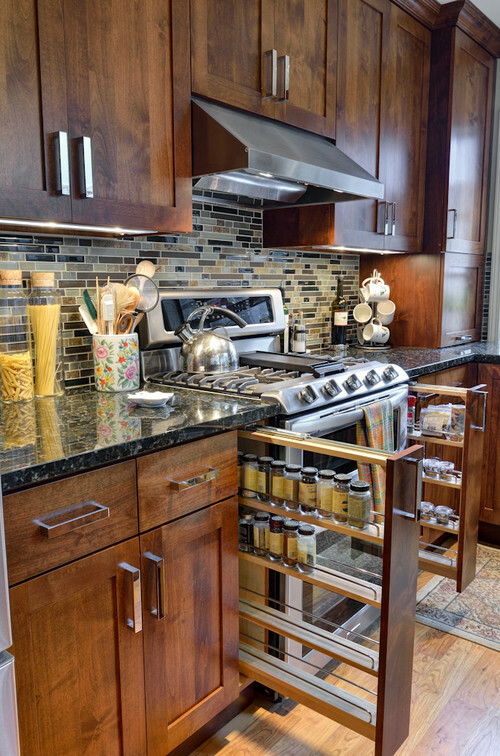 ← Remodeling Trends To Keep Any Eye Out For In 2014!